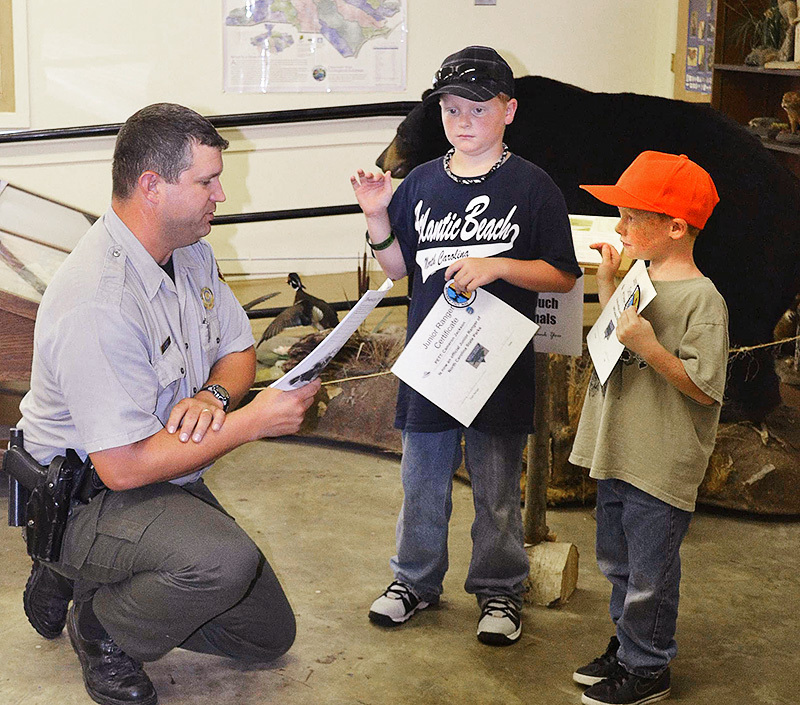 Ranger Steve Rogers swears in Cameron and Christian Webb as Junior Rangers at Pettigrew State Park (Photos courtesy of James and Ernestine Webb). A simple day trip to Fort Macon State Park launched Cameron and Christian Webb and their grandparents on a true quest. The young brothers became the first to become Junior Rangers at every North Carolina state park, and they did it during a summer flurry of camping excursions that put 3,000 miles on the pickup truck with the pop-up camper driven by grandparents James and Ernestine Webb. “We wanted to leave a memory behind,” James said. Cameron, 10, and Christian, 6, live next door to their grandparents in Pinetops in rural Edgecomb County. They loaded into the truck July 1 for the trip to Fort Macon where they learned about the Junior Ranger program. So, they stopped at Goose Creek State Park on the return trip. Gradually, they moved westward, spending a week visiting mountain parks. Sometimes landing at two or three state parks in a day, they completed the quest just after Labor Day, with the kids having collected patches and certificates from all the parks. 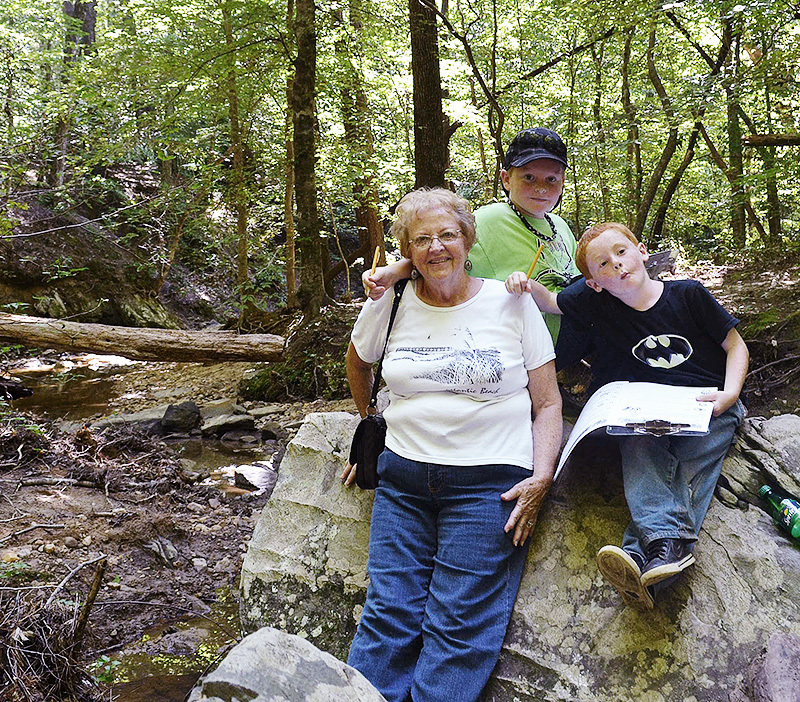 The brothers and grandmother Ernestine Webb take a break during a trip to the mountains. Becoming a Junior Ranger involves completing a workbook that teaches about state park natural resources, then completing a service project – occasionally in the company of a park ranger. And then, there’s the formal oath followed by presentation of a certificate and a coveted patch distinctive to the state park. Supported by Friends of State Parks, the Junior Ranger program has just recently been expanded to all the parks. At Fort Macon, the service project for the Webbs involved marking a fragile nesting site for shorebirds. At Merchants Millpond, they learned all about wildlife along trails on a hike with a ranger. 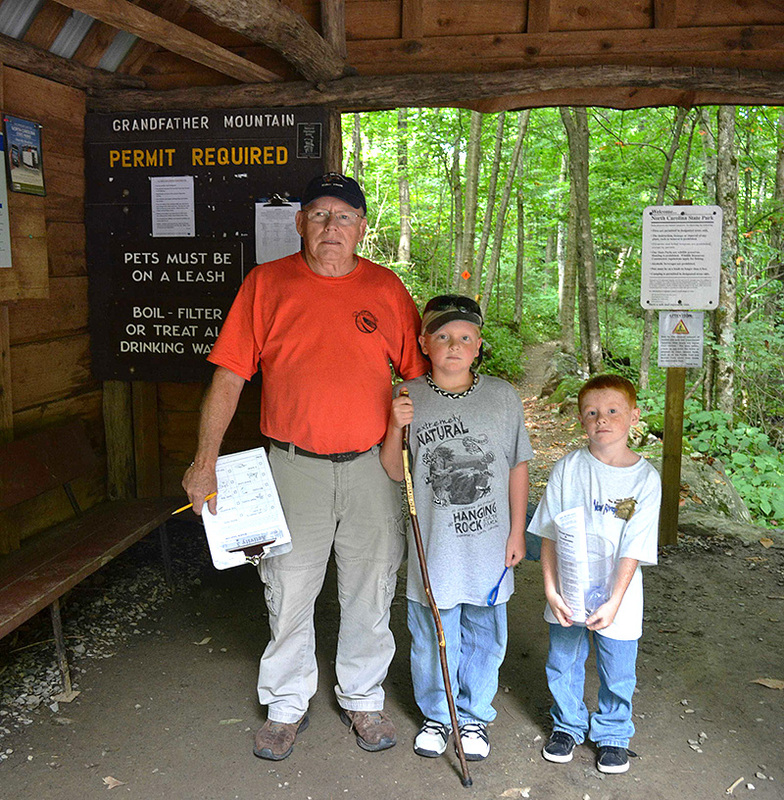 At a couple of parks where the program is new, the brothers were the first to earn Junior Ranger credentials. Park rangers learned alongside the Webb family, learning procedures and locating workbooks, certificates and patches. Grandfather James Webb at the brothers at Grandfather Mountain State Park. 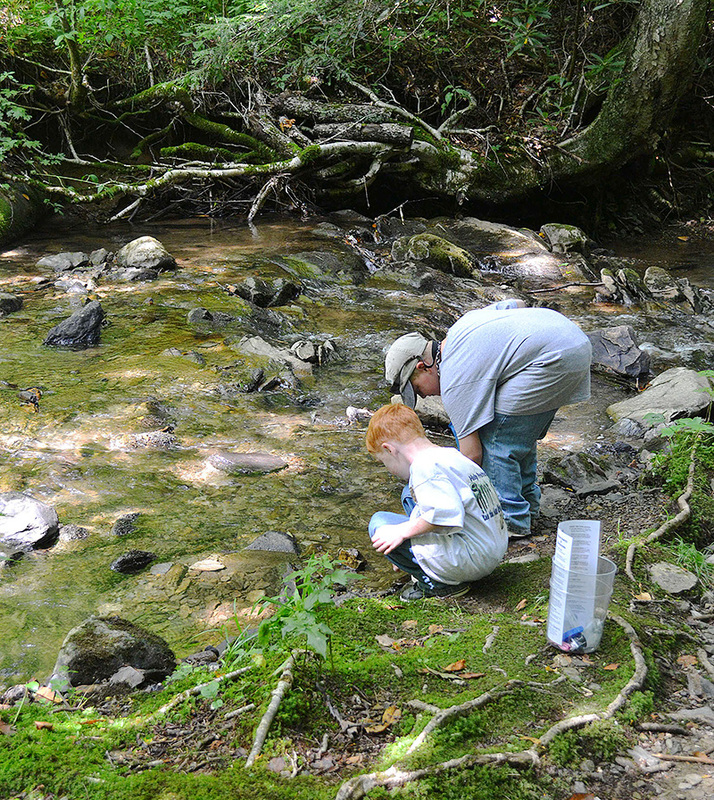 Searching for aquatic life at a mountain state park.